View More In Hot-Air Brushes. Unique airflow vents, oval design, multiple heat settings, lightweight and ergonomic. One step hair dryer and straightener and volumizer. Smooth, frizz-free blowouts in half the time. It has infrared hair care and ceramic coating which can help prevent heat damage. The unique design combines the powerful airflow of a dryer with the smoothing benefit of a brush in one tool. Negative ions help reduce moisture in hair for faster drying and less damage. It also reduces frizz and static, which make the hair soft and shiny. For best results, separate hair into manageable sections and dry each section individually. Please read the instructions before using it. ❤ Unique airflow vents, oval design, multiple heat settings, lightweight and ergonomic. ❤ One step hair dryer and straightener and volumizer, smooth, frizz-free blowouts in half the time. ❤ It has infrared hair care and ceramic coating which can help prevent heat damage. 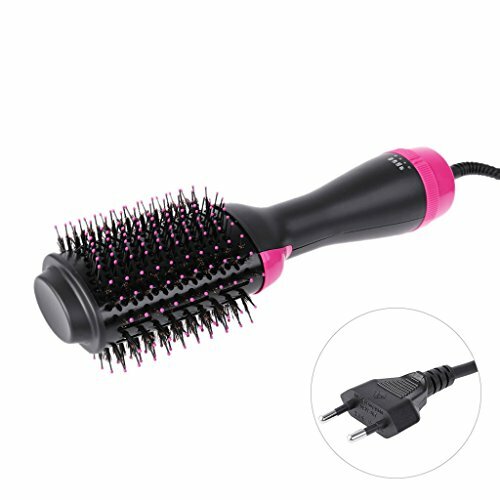 ❤ The unique design combines the powerful airflow of a dryer with the smoothing benefit of a brush in one tool. ❤ Negative ions help reduce moisture in hair for faster drying and less damage. It also reduces frizz and static, which make the hair soft and shiny, separate hair into manageable sections and dry each section individually. If you have any questions about this product by CUTEQ, contact us by completing and submitting the form below. If you are looking for a specif part number, please include it with your message.